We made a Marjolaine and Charlotte Russe today. In case you're looking for a visual for the Marjolaine, it's still sitting in the freezer in school. 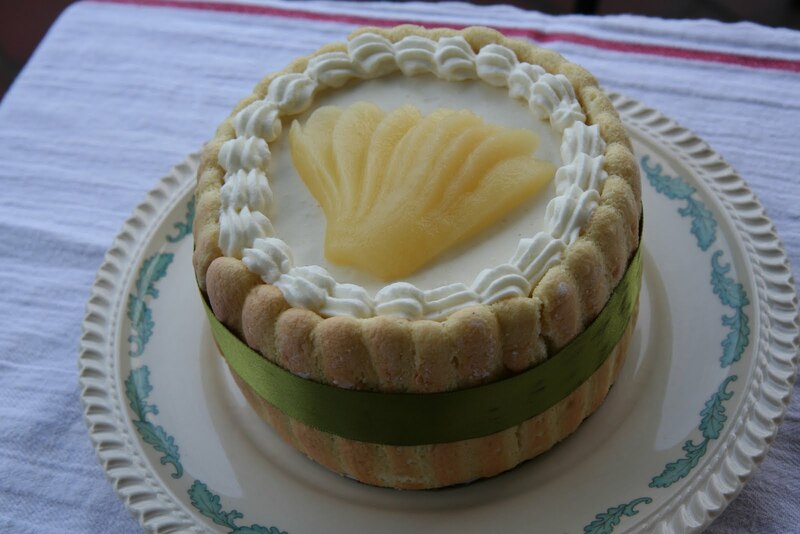 The Charlotte Russe is with pear puree and if you're wondering, yes, we made the ladyfingers from scratch. 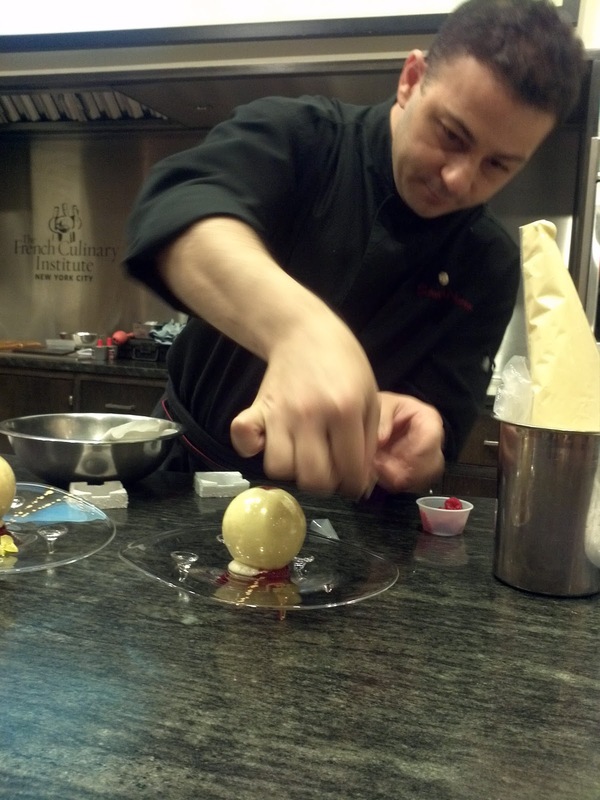 However, the highlight of my day is attending a deomstration by Salvatore Martone, the Executive Pastry Chef of L'Atelier. He demonstrated some techniques on sugar works, which included making a small sugar dome/bubble. 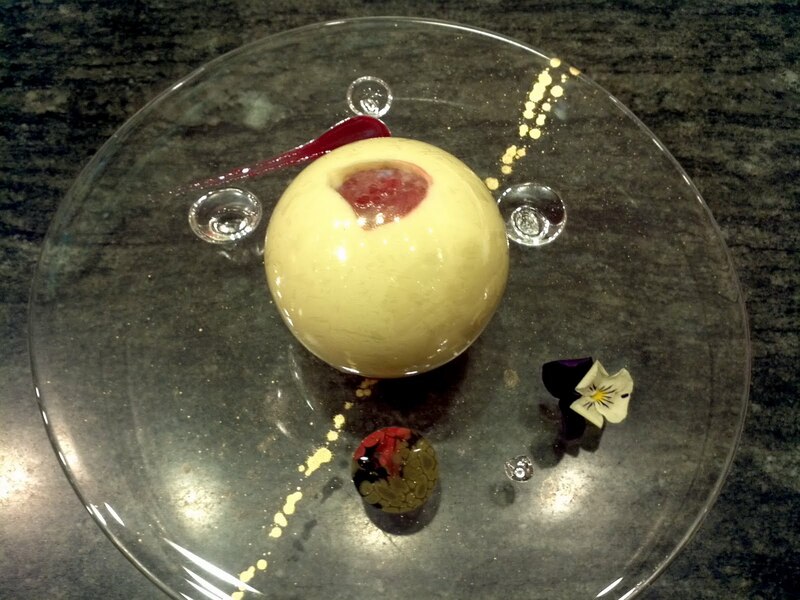 He then filled the sugar dome with passion fruit & chocolate mousse, inverted the dome over some raspberry compote, served it up on a beautiful platter. 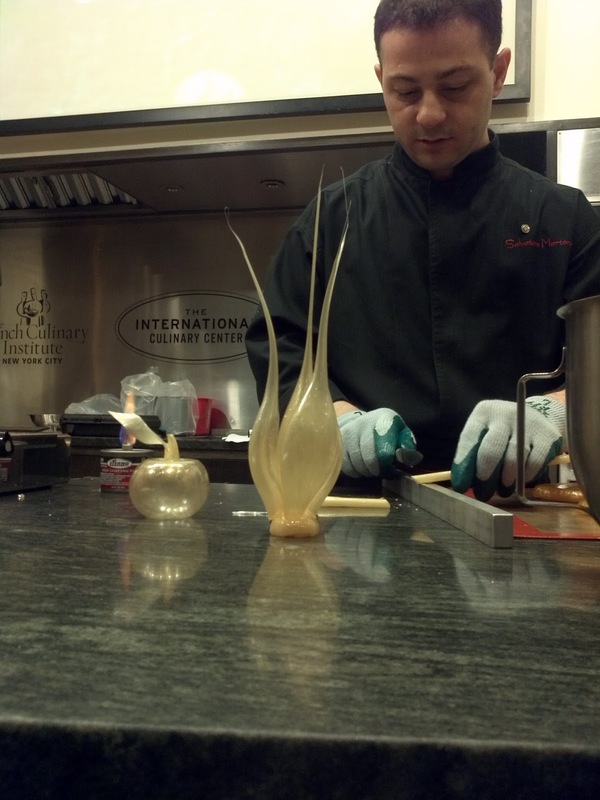 I was sitting in the front row of the auditorium and I had the previlege of having the beautiful dessert showpiece. The entier dessert was an experience in itself. 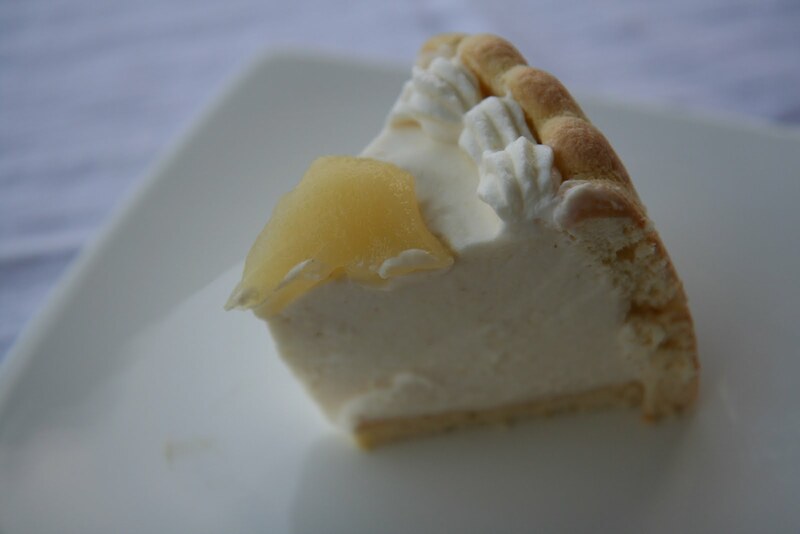 It was beautiful to look at, the sound and sensation of breaking the sugar dome with the back of my spoon, followed by the amazing flavour and texture of the mouse and broken pieces of sugar... ahhh.... heavenly! I've never had a cake like Charlotte Russe. I can't wait to go to a French Pastry Shop and say all these cake names. I liked the cream. It was so light and tasted magnificent.